There is something about the untouched, undisturbed, magical freshness of North East India. The seven states, also called “Seven Sisters” will not fail to surprise you. 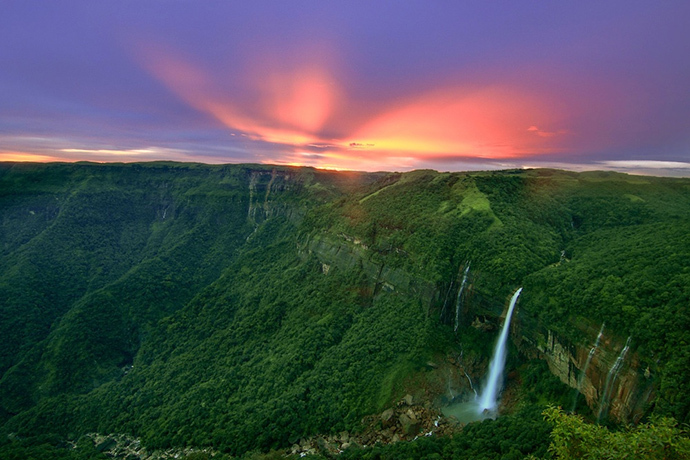 The incredible North East of India has wildlife, trekking, caving, tribal culture and much more to offer. Sharing its border with Bhutan, China, Myanmar and Bangladesh, this region is one of the most ethnically, linguistically and culturally diverse regions in India. 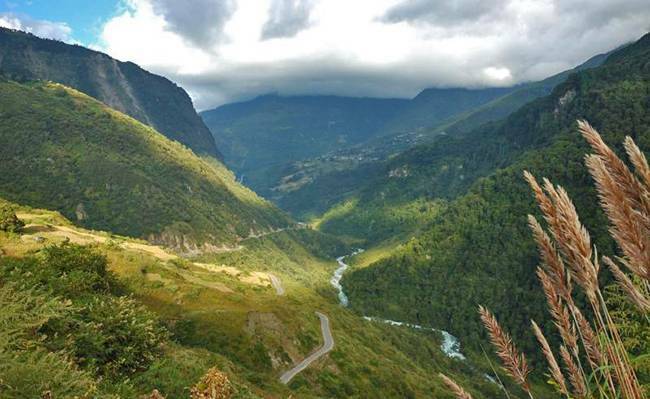 Here we list some of the incredibly Beautiful Places in North East India. 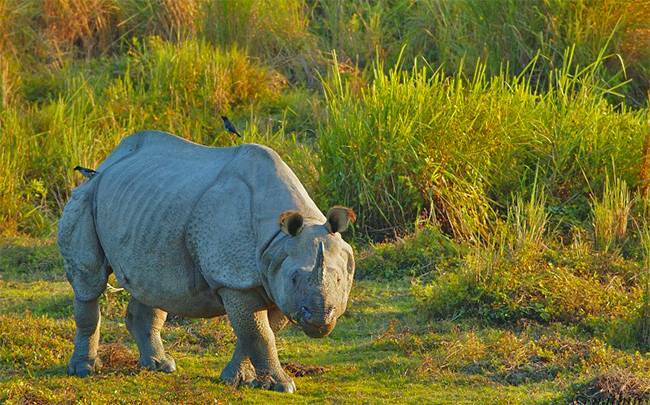 Kaziranga National Park is a Natural World Heritage Site and is home to two-thirds of the world’s Great One-horned Rhinoceros. It also boasts of highest density of tigers among the protected areas of the world and was declared a Tiger Reserve in 2006. The park is also home to large breeding population of elephants, wild water buffaloes and swamp deers. It is also recognized as an Important Bird Area by Birdlife International for conservation of avifaunal species. The park is open from 1st November to 30th April every year. 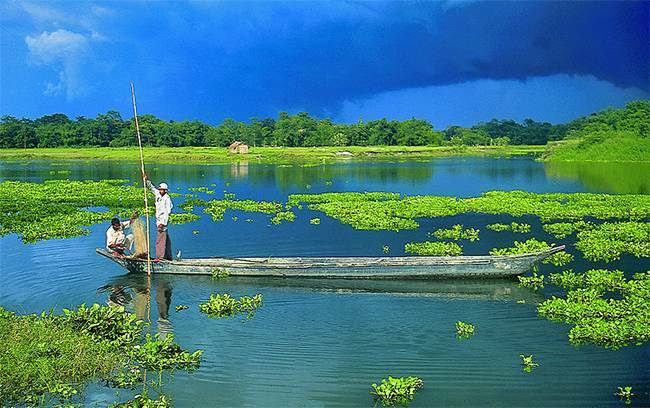 Located on the banks of river Brahmaputra, Majuli is the largest river island in the world. As the river surrounding it has grown, Majuli has shrunk over the years. 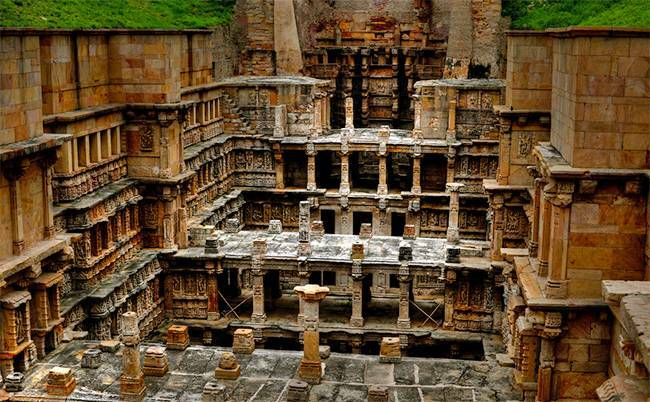 As per the legends, Lord Krishna had played here with His friends. The clear blue sky, breathtaking landscape and the serene river flowing next to you stirs your soul. November to March is the best time to visit this place. Loktak Lake is the largest freshwater lake in the North East India and it is also the only floating lake in the world owing to the floating phumdis (heterogeneous mass of vegetation, soil and organic matter at various stages of decomposition). This ancient lake is considered it has life of Manipur and it also acts as source of water for hydro-power generation, irrigation and drinking water supply. 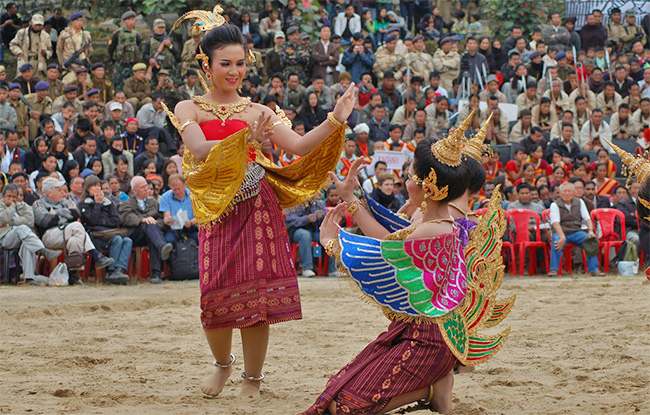 The lake is located about 40 km from Imphal, the capital of Manipur, and is well connected by the roads. 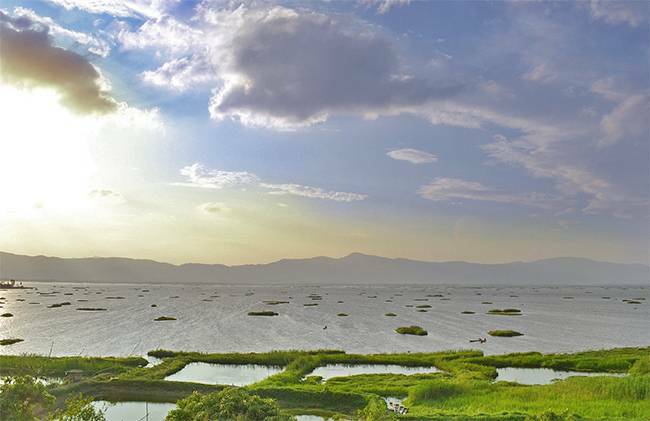 Home to various species of avifauna, aquafauna and fauna, Loktak Lake is an ideal tourist destination for nature lovers. 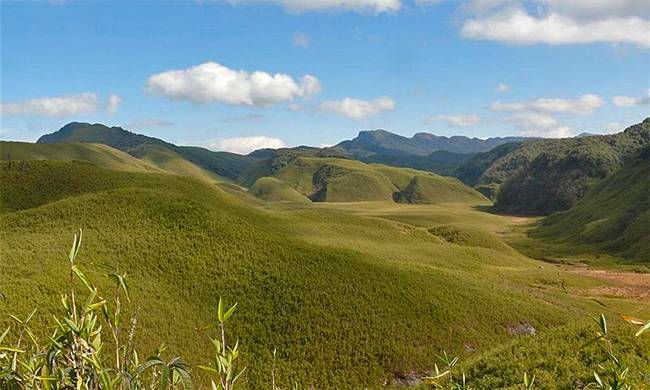 Located on the border of Manipur and Nagaland, Dzuko or Dzukou Valley, is a popular trekking destination owing to the abundant wildflowers in the valley. 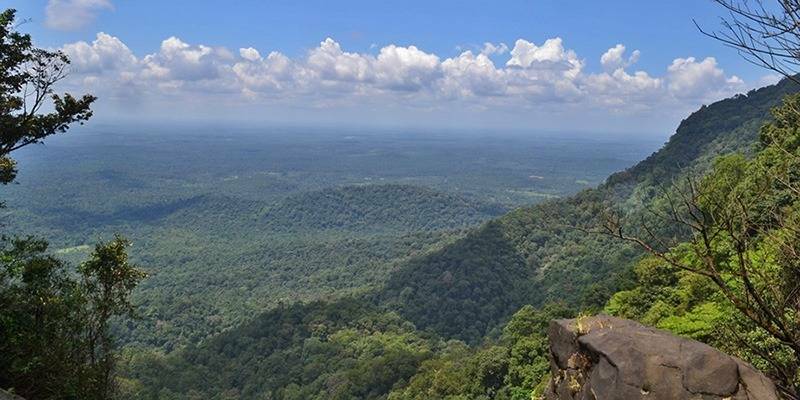 Situated at an altitude of 2138.4 mtrs, it is an easy to moderate difficulty level to trek through the serpentine streams and beautiful flowers. October to March is the best time to visit the valley. Bordered by Tibet in the north, Bhutan in the South-West,Tawang is home to Tawang Monastery, the important seat of Mahayana Buddhism. 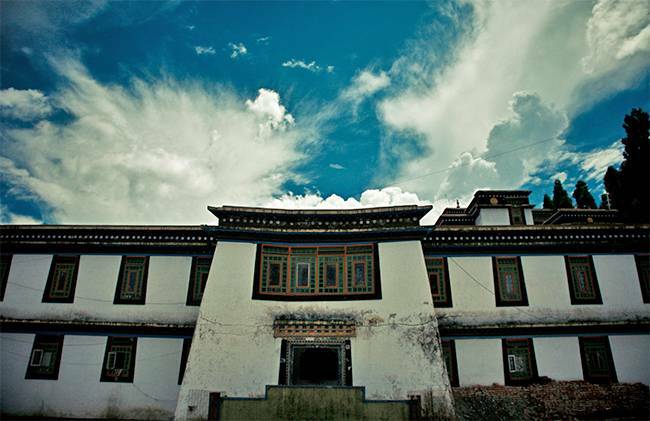 It is Asia’s second largest monastery in the world and India’s largest and controls 17 Gompas in the region. 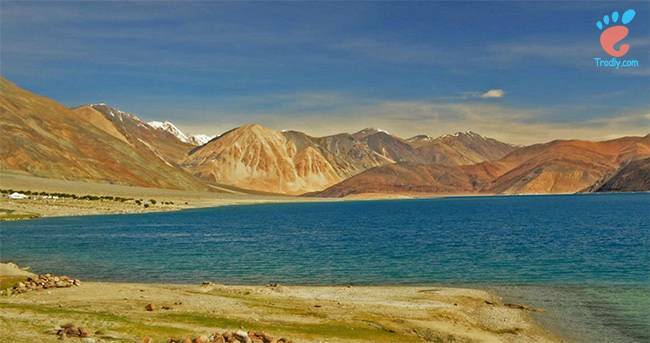 Lakes like Pankang Teng Tso, Sangetser and Banggachang provide the much needed solitude to discover yourself away from the maddeningly crowded cities. Best time to visit it is between April to October. 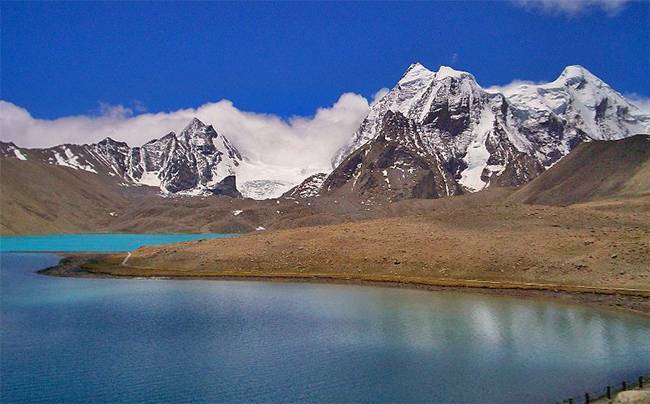 Located at a height of 17,000 feet, Gurudongmar Lake is one of the highest lakes in the world and second highest in India. Located northeast of Kanchenjunga range, this freshwater lake remains completely frozen in the winter months from November to about mid-May. The view of Mount Siniolchu and Kanchenjunga are breathtaking. The best time to visit the lake is between November to June and owing to the paucity of oxygen at such a height, staying there for over an hour is not recommended for tourists. Rumtek Monastery or the Dharmachakra Center is a Tibetan Buddhist monastery located on the top of the hill facing Gangtok, the capital city of Sikkim and is one of the most important seats of the Kagyu lineage outside of Tibet. It is currently the largest monastery in Sikkim and is home to the community of monks as well as the Golden Stupa, which contains the relics of the 16th century Karmapa. The best time to visit here is from March to late May or from October to mid-December. Krem Liat Prah is the longest natural cave situated in the north eastern state of Meghalaya in India. 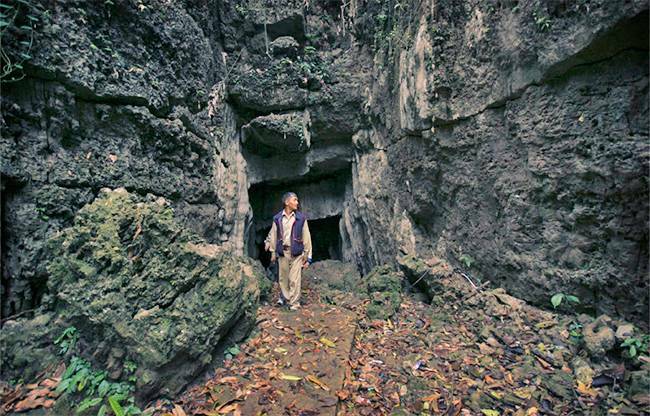 Out of the 750 plus caves discovered and explored in Meghalaya, approximately 150 known caves are found in Krem Liat Prah. Explored and surveyed as part of the ongoing Abode of the Clouds Expedition projects, its current length is about 25 km which will increase as nearby caves continue to get connected. A gigantic trunk passage, known as the ‘Aircraft Hangar’ is one of the most popular features of these caves. 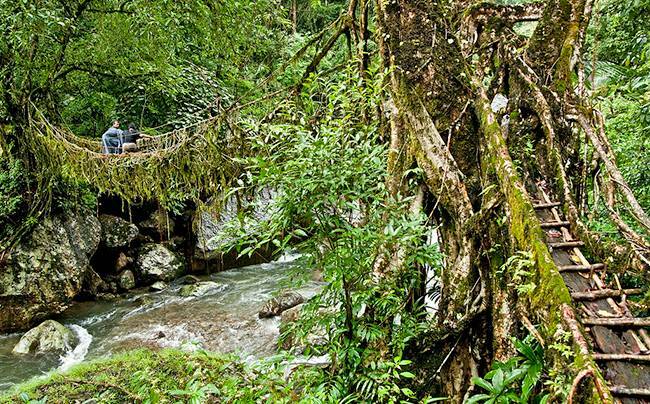 The living root bridges in Cherrapunjee, which is the wettest place on the earth receiving highest rainfall in India, are the unique natural-man-made wonders which can be found here. Owing to heavy rainfall, the place has the greenest, dense jungles, the people in Cherrapunjee have developed techniques for growing roots of trees into bridges. The process usually takes about 10 to 15 years to complete a bridge, and a bridge can last hundreds of years. Situated at a height of 11,800 feet, Yumthang Valley is a paradise for nature lovers with Himalayas on one side and prettiest of the flowers on the other. The picturesque green slopes covered with trees, with yaks grazing, with a river flowing nearby and the most colourful flowers spread like a carpet will leave you speechless. 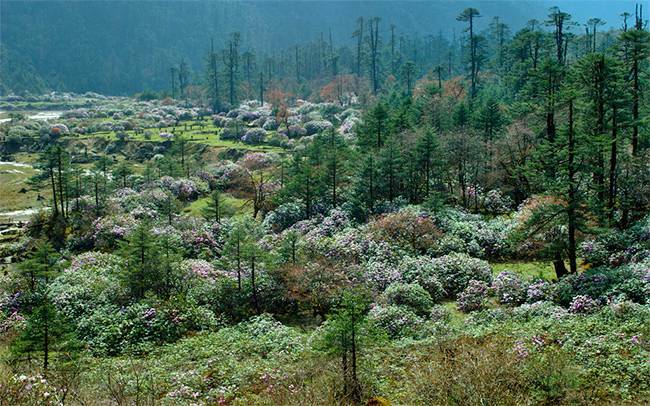 Popularly known as Valley of Flowers, it is also home to Shingba Rhododendron Sanctuary and has over 24 species the rhododendron, which is the state flower of Sikkim. The valley is closed between December to March due to heavy snowfall.